Nourishes and protects decking, leaving a lightly tinted finish. Rainproof in 2 hours, and can be recoated after just 6 hours. Prevents water soaking in, and protects against the sun from turning it grey. Up to 10m2 per L. Recoat after 6 hours. 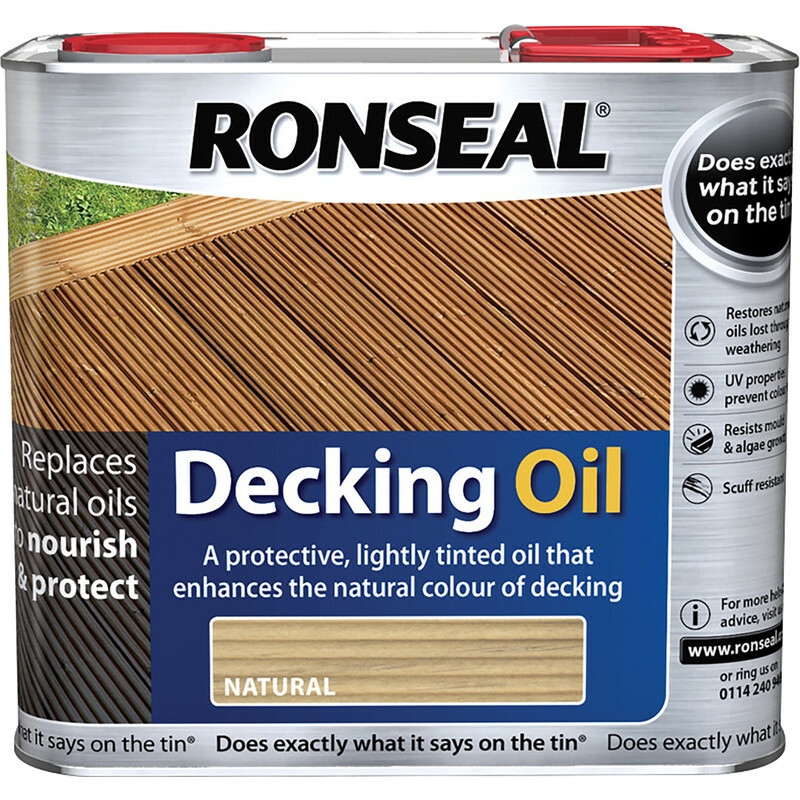 Ronseal Decking Oil Natural 2.5L is rated 5.0 out of 5 by 2.